Do you know what it takes to stay sun safe at the beach? Do you regularly lie in the sun for hours at a time, slathered in coconut oil and dressed only in your skimpiest togs? Australians have come a long way over the last few decades when it comes to protecting our skin from the sun’s harmful rays. We’ve gotten much better at slipping, slopping, slapping, seeking and sliding and studies show we’re far less likely to go searching for a suntan than we used to be. Unfortunately, melanoma and other forms of skin cancer are still common in our community, showing that we still have a long way to go. Australia has the second highest rate of skin cancer in the world, after New Zealand, Queensland has the highest rate of any state or territory. 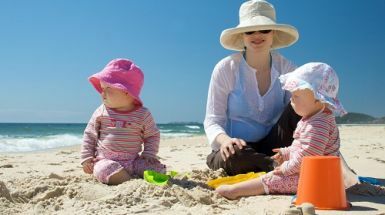 Keeping up to date with the latest research on sun safety is crucial, so we’ve pulled together a few common facts and misconceptions about skin cancer and how it impacts you and your family. Can you separate fact from the fiction? False. It’s true that survival rates for melanoma and other skin cancers are relatively high when compared to other cancers, with more than 90 % of people diagnosed likely to still be alive five years later. 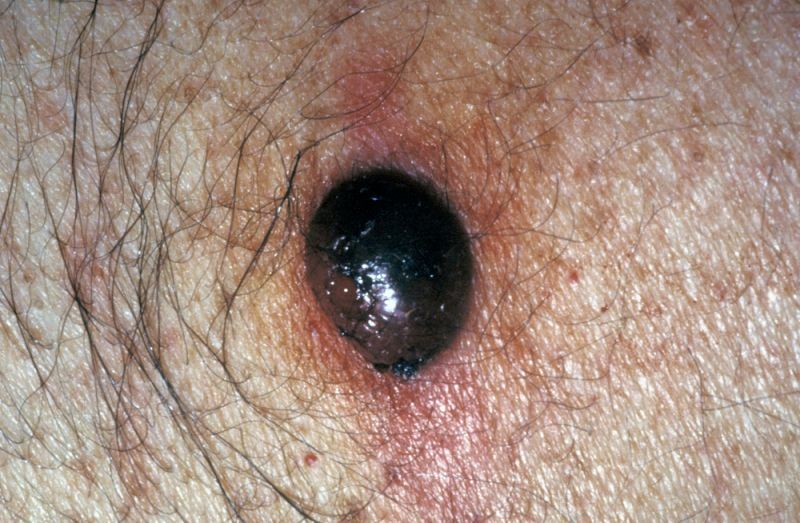 However, one in 20 cancer deaths [PDF: 815kb] in Queensland are due to melanoma. Skin cancer may not have the same mortality rates as some other forms of cancer, but given how common it is, it’s still a very serious condition that affects a lot of Queenslanders. Definitely false. Unfortunately, just getting exposed to ultraviolet light is enough to cause skin cancer. That means your leisurely lunchtime stroll to the sandwich shop around the corner without your hat and sunscreen on is still doing you harm – even if you’re not getting burnt. It’s important to be vigilant with applying sunscreen and covering your skin even if you don’t plan to be out in the sun for long enough to get burnt. False again. Skin cancers can develop quickly and if you’re only getting skin checks every couple of years, there’s a chance you’ll miss them. Be vigilant and regularly check your skin yourself, including places like your back and scalp. Get a family member or friend to help you with places you can’t easily see. Remember that skin cancers can also develop in places that don’t see much sunlight, like the soles of your feet, so it pays to check them regularly too. Always go back to your doctor for a check if you see anything that concerns you. Thankfully, this one’s true. Years of sun safety education campaigns have had an effect, with a 46 % decrease [PDF: 815kb] in melanoma incidence for young people aged 15-29 years since 1995. 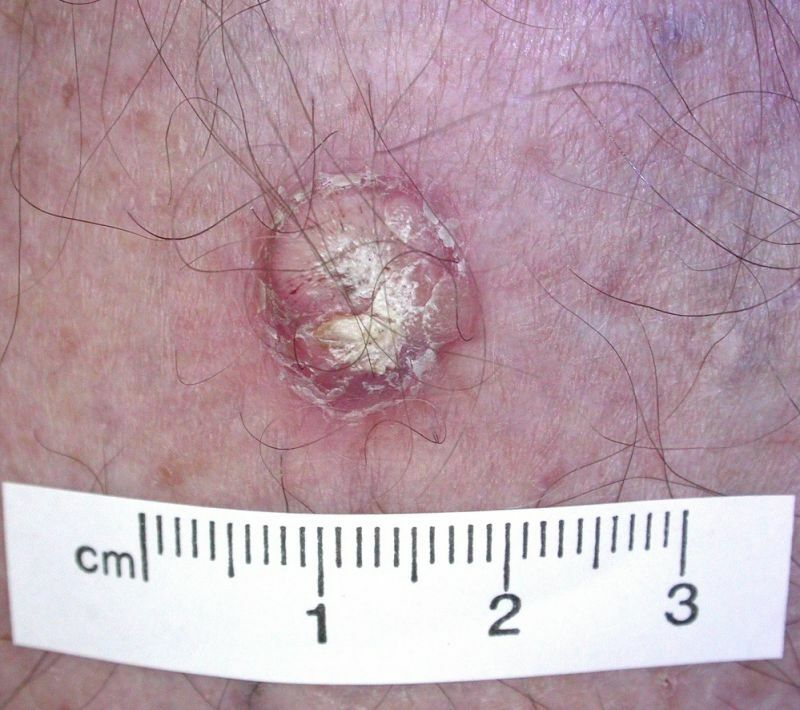 However, melanoma rates across the wider community are set to increase for many years as older Queenslanders continue to be diagnosed with the disease. False. It’s on the decrease but melanoma is still the leading cancer diagnosed among 15 – 39 year olds and the most common cause of cancer death among 20 – 39 year olds [PDF: 815kb] . Partly true. UV radiation from the sun is the best source of vitamin D (as well as the major cause of skin cancer). But don’t go rolling out your towel for a sunbathing session on the back lawn just yet. For most people, just a few minutes a day of exposure to the Queensland sun is enough due to the year round high UV levels, which can easily be achieved with day to day activities. If you suspect you’re Vitamin D deficient (and people with naturally dark skin are at higher risk here), consult your doctor for advice. False. Tanning easily is not a sign that your skin is coping well with the sun. In fact, tanning is a sign of skin cells trying to defend themselves against the sun’s UV rays. It’s true that fair skinned people are more likely to burn and that burning can lead to skin cancer. But people of all complexions contract skin cancer and a dark complexion does not mean you don’t need to protect yourself. If you need further proof, remember that Bob Marley died of melanoma at the age of just 36. This one is also false. While the glass in our car windows does filter out most UV radiation , it doesn’t block it completely. If you’re planning to be in the car for a while, wear sunscreen and protective clothing to make sure you protect your skin. Remember, it’s not just sunburn that causes skin cancer – it’s any exposure to UV radiation. This is an old one and has been the subject of many studies which consistently show the same results – that the thing likely to cause skin cancer is exposure to UV rays, and sunburn. In fact, appropriate use of sunscreen could reduce the prevalence of all skin cancers by 10–15 percent, and daily use could reduce the risk of melanoma by 75 percent (PDF 815kb). Following the manufacturer’s instructions is important – see our previous post on this topic. A layer of sunscreen is not a magic barrier to the sun’s harmful rays, although it will certainly help. The best way to prevent skin cancer is to plan your day to minimise the time you spend in the sun during peak UV periods, try using the SunSmart app to keep you on track. If you do have to go out into the sun, wear sunscreen, a broad brimmed hat, protective clothing and sunglasses and keep to the shade wherever possible.